“How about $150,000 for 15% of your company?” asked Mark Cuban in a recent episode of Shark Tank. “Yes!!! We will take it!” The two founders on stage cried and hugged each other. They could not believe their goal of a $1M valuation while only giving up 10%-18% equity had come true. “DEAL”. This moment aired on Shark Tank on Nov 13, 2015. The company on stage was Unshrinkit, born and bred on the HBS campus by two HBS ‘14 students, Desiree Stolar and Nate Barbera. The two entrepreneurs met in Section J, and their innovative company started life as a Field 3 project. Unshrinkit solves the problem that clothes, especially wool, shrink after a wash. Through its proprietary chemical formula, the product can reverse the wool shrinking process and expand wool clothes back to their original form. The journey. Two years ago in an HBS classroom, Desiree overheard fellow student Nate telling another sectionmate that he wanted to work on a physical product for Field 3. Intrigued, Desiree jumped on the idea and joined the team. They started brainstorming in January. “There’s no good mustard available”. “I want an easy way to make bets”. Different ideas were thrown around. Desiree had a different problem. She had received a beautiful cashmere sweater on Christmas from her sister and had only worn it once. However, to her dismay, the sweater shrank after the first wash. Unsure of what she should do, Desiree searched Youtube and found a homemade remedy of using warm water and conditioner to fix the problem. She did so and her sweater expanded! Unfortunately, the solution was not long lived. When Desiree wore the sweater to class she was shocked to discover that it was shrinking hour by hour. By the end of class, it was essentially a crop top! Desiree convinced her team that this was a big unmet need in the market. But how could five MBAs with no science or engineering background, find a solution? They researched everything from home remedy videos on Youtube to academic papers. Nate even started reading chemistry textbooks to learn the basic concepts of wool chemistry, investigating wool protein bonds and their chemical reactions. Their Harvard dorm soon became an active chemistry lab with daily experiments and surprises. The team did not give up. When experimenting with whole wool sweaters became too expensive, the team cut sweaters into pieces to save on material costs. Eventually, after testing with hundreds of sweaters, they finally found a solution that unshrunk wool with no obvious damage to the fabric and which was safe to use without gloves. This solution became the base foundation of their product. Their final product was a solution used to soak a piece of shrunken wool in warm water for 30 minutes. With time, the wool fibers would slowly elongate to their original form. A final wash with cold water then solidified the expansion. Marketing matters. The team unveiled the product for the first time in the Field 3 section demo day. Many classmates were impressed with the product, but others thought it was a joke – especially given the name, “Honey I Shrank Your Pants” – and as a result, the Unshrinkit team made no movement in the student-driven stock market. Reflecting on their middling performance, the team decided to rebrand themselves as “Unshrinkit” and to make the bottle look as professional as possible. The result? Placing 3rd within the entire 2015 class. From Field 3 to fully fledged startup. In the late summer of 2014, the team decided to test the product on consumers outside the HBS bubble. They placed bottles for sale on third party platforms, at a price of $12 a bottle. To their surprise, the first batch of product was soon sold out. 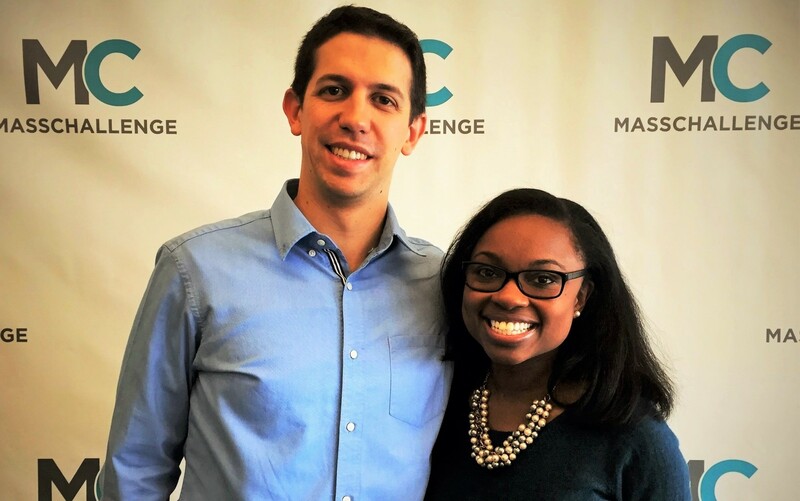 Seeing the initial success, Desiree and a few members of her team decided to focus on the innovation in their second year of HBS. In order to expand their retail distribution, they needed to move the bottling process out of their dorm rooms. They participated in the New Venture Competition, the VIP program at i-lab, and Mass Challenge. They partnered with a Massachusetts-based supply chain partner to move product fulfillment to Amazon. They used the HBS Mail Center to print all their labels, their HBS dorm rooms as their headquarters and the HBS loading dock for major shipments. Unshrinkit would not exist had it not been for FIELD 3 and the support of the HBS ecosystem. In the spring of 2015 they applied to Shark Tank. From the moment the Shark Tank producers expressed an interest, Desiree and her co-founder Nate were not allowed to talk about the process to anyone. Going into filming, the team knew from their win at a TiE Boston event that they could aim for a $1M valuation. They hoped to gain publicity and support without giving away too much equity. Ultimately, the Shark Tank episode opened up a lot of doors for Unshrinkit – from joint-venture opportunities to new sales channels. After two years of bootstrapping, it was exciting to have a huge offer from a well-known investor. Plus, the general public has since raved about the episode and the product. When asked about the future, Desiree is hopeful – she wants to expand to other clothing materials and packaging types. 1. If you have a great idea and you are willing to quit Business School for it, don’t work on it during Field 3. Field 3’s team of 6 is too big for a startup. Once the startup takes off, and you want to get IP back from HBS, it’s only possible to do so once all 6 of you agree with the equity split. This can create a problem if not all the members are aligned on the roles, strategy or product. However, if there’s a question you’ve always had, or you want to do a deep dive in a market, Field 3 is a great time for experimentation. Embrace it as a self-made challenge. 2. Be careful who you choose to be on your team. Pay attention to how your potential teammates respond to disagreements in class and at midnight after a section event. You want to form teams with people who are respectful, who compel you to work hard and who can make you laugh at 11pm. These are the people you will be working with well into the night, and you better like them. Some teams treat Field 3 as a joke and use the funding sparingly. However, if you are serious about it, you can learn a lot. This is a rare opportunity in which the 6 of you will do a lot of research and dig deep in one area. Take advantage of it! In addition, if the funds are not used, it is likely HBS will reduce the total amount for future classes. Make the most of every dollar! Team Unshrinkit submitted receipts that left them with $0.74 in the bank when FIELD 3 concluded, and they walked away with a patent, a product and a huge possibility.